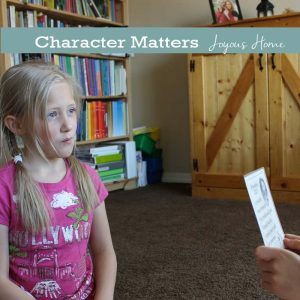 Seasons at Home Magazine Winter Issue -Why Teach Greek? Plus Greek Lacing Blocks, Gathering Around the Hearth: Winter Sweet Breads,The Hospitality Pantry, Forfeiting Peace, Winter Embroidery and Peppermint Soap! See a sampling of our current issues here! *Note: We do not endorse the randomly-generated links that may appear on this preview. If you have gotten our magazines in the past, you know our mag­a­zine ministers not only to homemakers but to the heart of the whole family. 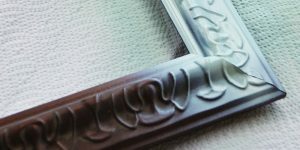 A God hon­or­ing mag­a­zine, you’ll find a vari­ety of dif­fer­ent top­ics that alter­nate from Titus 2 fel­low­ship, sewing, whole grain bak­ing and cook­ing, themed teas, home­school­ing, sec­tions for father/son by John Pow­ers and more! 20 pgs. 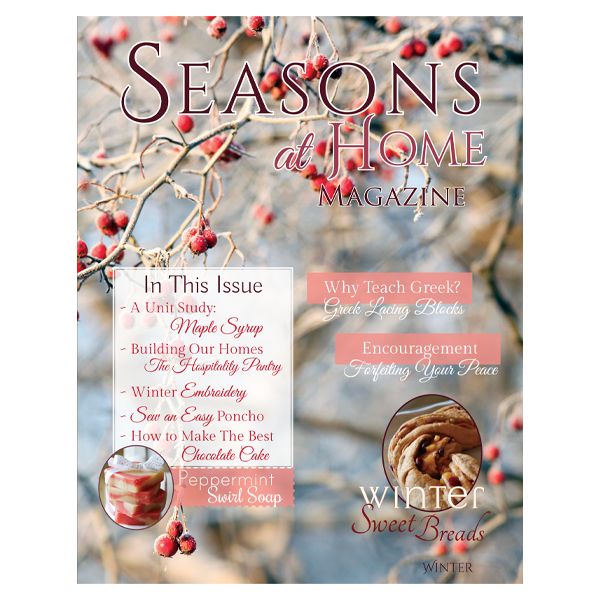 Seasons at Home Magazines are homemaking books that never expire! Get yours today.